Self storage units can be a convenient place for pharmaceutical sales representatives to store their inventory. Pharmaceutical reps industry-wide are now finding that self storage facilities make a convenient home-base from which to operate their businesses. Reps receive their shipments directly to the storage facilities, allowing them more space than storing their products at home or the office. Self storage that is located near the rep's office will allow for extra space to store drug samples, literature and marketing tools and help increase daily productivity. A pharmaceutical rep will want to choose a facility that is close to home or the office, because much of his or her success depends on good time-management skills. Pharmaceutical reps must juggle busy schedules filled with appointments and travel time. The rep will likely need to make numerous trips to the storage unit to gather supplies. Cutting down on travel time to the storage unit will increase time that reps can spend educating their clients. Climate control is essential to prevent damage to drug samples. Damage can be caused by extreme changes in temperature either hot or cold. A pharmaceutical rep will want to keep temperature within the units between 50 and 80 degrees Fahrenheit. 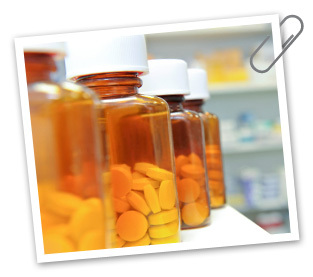 Enhanced safety and security features are necessary to prevent theft and burglary of the drug inventory. Reps will want to look for a storage unit that offers added security features such as video surveillance cameras, security alarms, keyless entry, and an onsite manager. Delivery acceptance is an essential part of the pharmaceutical rep's business operation. Reps may make arrangements will the facility manager to receive packages on their behalf while they are out working in the field. Once a delivery is made, a facility manager will sign for it at notify the rep by phone or SMS text that the package has been received. The rep will have to pick up the package within a reasonable amount of time as agreed upon between the two parties.